Scion Racing gears up to take on Pikes Peak and is attempting a very scary first with the 2013 Scion FR-S race car. 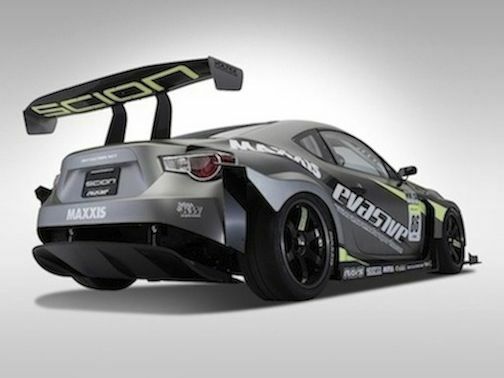 The 2013 Scion FR-S will attempt something that may not be very smart for the Scion Race team. The Pikes Peak International Hill Climb is the most grueling race on the planet. Drivers and their cars have to tackle the thin air at altitude, nearly 5,000 vertical feet (1,524 meters) of ascent, and more than 150 turns and corners. And if a car goes off one of the sharp turns, a horrific crash and possible death can result. Scion Racing is putting a new car and a rookie driver behind the wheel of the Scion FR-S. What is Scion Racing thinking? Toyota has released a press statement telling us Scion Racing is making the debut of the Scion FR-S up the 14,110 ft Pikes Peak mountain this year. But the disturbing fact is that the new Scion FR-S race car will be piloted by a rookie driver. Now if this is just to get some publicity for the new two-door coupe, that’s fine. But if they really plan on competing in the Limited class, it’s not very prudent. Just ask Paul Dallenbach who drove the 2014 Range Rover Sport and set a record run for a production SUV earlier this month. Dallenbach who lives in Basalt Colorado knows the mountain and has won his division at the Hill Climb six times and won the event outright three times. He said, "There's no margin for error at Pikes Pike - you only need to misjudge one of those 156 turns and you're into the trees or over the edge of the mountain." Toyota will attempt this difficult race by putting a rookie at Pikes Peak behind the wheel of the FR-S. Rookie driver Robert Walker will be behind the wheel of a FR-S built by Evasive Motorsports. The Scion has been modified for added safety and increased performance. Walker will be racing in the highly competitive Unlimited class. Scion Racing’s other two drivers Andrew Comrie-Picard and Takeshi Aizawa will behind the wheel of the Scion Racing Rally xD, and GReddy tC respectively. But these two drivers have been to the mountain before and lived to tell about it. And with the high mountain road being completely paved to the top, times are getting quicker. If they tell the rookie to go out and just be safe and finish, that is one thing. If they want him to be competitive and win, it may be too risky on a mountain that has claimed lives in the past. Watch Jeremy Foley Crash - Pikes Peak International Hill Climb 2012 video.